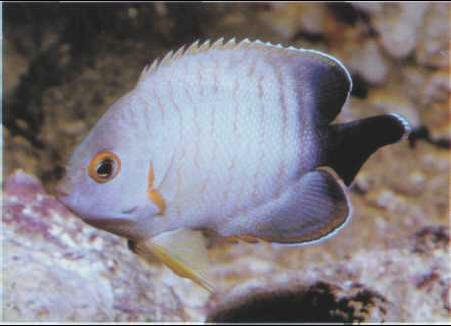 Eibl's angelfish, aggressive towards all the other species in the genus, is easy to keep in captivity. Its vegetable diet can be complemented by small invertebrates. Size: 12 cm.